Nikon UK has issued a statement saying that it will honour the pre-order prices for anyone who placed an order for the D4 and D800 before March 24th. Over the weekend, Nikon has faced criticism after an "internal systems error" apparently led to the incorrect pricing of the cameras being communicated at launch. Both of the cameras have risen in price by approximately 10%, the pro Nikon D4 now comes with a price tag of £5289, which is an increase of £500, while the Nikon D800 has risen by £200 to £2599. In a press statement released this morning, Nikon expressed regret over the situation, "We would like to apologise sincerely to our customers for this unfortunate mistake, which has been corrected with immediate effect." Speaking to us earlier in the month, Nikon stated that the D800 had seen "unprecedented" pre-orders, which we found to be true when checking with several retailers on the March 22nd launch date. "We know that there has been strong consumer interest in these products and a high level of pre-orders place with retailers," the Nikon statement continued. 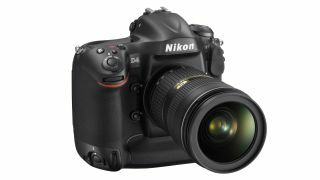 "Nikon will be honouring the original prices to retailers on all customer pre-orders placed before March 24th, 2012." We have been trying to reach Nikon UK for comment, but so far have not heard back.